In 2012, former University of Wisconsin Director of Performance John Dettmann, MSCC, paid a visit to Door County, Wisconsin, with a specific purpose in mind: recovery. Dettmann understood the importance of speed. No, not the speed of his athletes on the field of play, but rather the speed of their recovery. By helping student-athletes recover faster, coaches unlock a competitive advantage in helping them improve their performance faster as well. The fruit of Dettmann’s efforts? 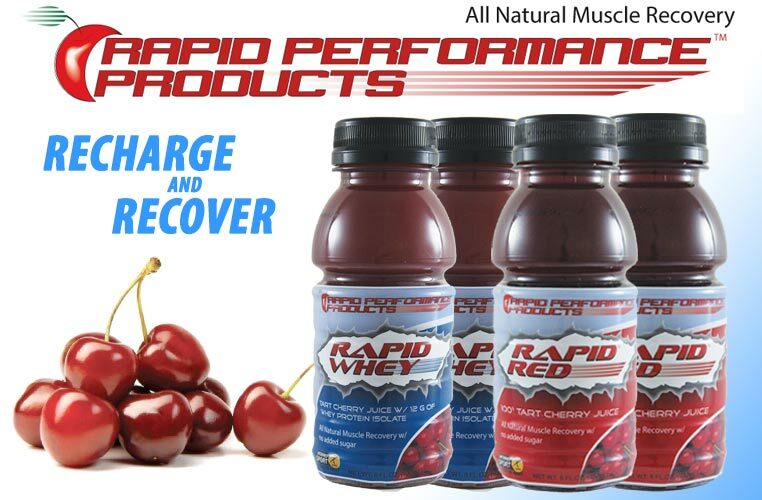 Rapid Red™ and Rapid Whey™ – healthy, great-tasting recovery drinks harnessing the power of Montmorency Tart Cherries, which are loaded with natural carbohydrates and inflammation-fighting antioxidants. 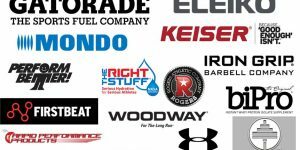 Any coach who’s ever tried to get an athlete to consume something “good for them” knows it can be a challenging endeavor, especially when America is overflowing with caffeine-powered energy drinks pumped full of saturated fats. Athletes expect everything to taste great. Rapid Performance Products understood this challenge, and worked closely with the Wisconsin Center for Dairy Research to develop a formula for recovery that not only tastes good while meeting the minimal-ingredient requirements, but also fits under the umbrella of NCAA compliance. With 8 oz of pure tart cherry juice ready to drink on the go, Rapid Red™ is the perfect recovery drink for collegiate athletes. Tart cherry juice is high in antioxidants that counteract the enzymes that cause tissue inflammation and helps reduce post exercise muscle and joint pain. Extensive research has discovered the natural benefits of Montmorency Tart Cherries. Found in the pigment of this “Super Fruit” are Anthocyanin 1 and 2 (antioxidants). These antioxidants not only give the fruit its bright red color, they also ensure quick response muscle recovery. Antioxidants help keep muscle inflammation and fatigue down, while the carbohydrates restore energy lost during workouts. Tart cherries also contain naturally occurring melatonin, a hormone that kicks in when your body is ready to rest. So tart cherry juice can naturally help athletes establish and maintain a consistent sleep cycle and get them the rest they need. With an added 12% whey protein punch, Rapid Whey™ has the power to not only relieve muscle inflammation, but also build muscle tissue after a hard workout. Whey protein contains a high amount of branch chain amino acids – an important part of an athlete’s recovery after workout. There are 22 amino acids present in the human body and nine are not able to be made within the body. They must be consumed through diet. Whey Protein Isolate contains the highest level of these essential amino acids. These branch chain amino acids (BCAA), such as valine, isoleucine and leucine, are important in muscle recovery and development. Because of the high levels of BCAA contained in Whey Protein Isolate, it is directly metabolized into the muscle tissue. 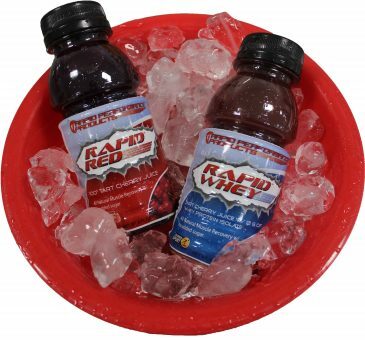 In addition to these all-natural recovery drinks, Rapid Performance Products also offers the Performance Pack™. 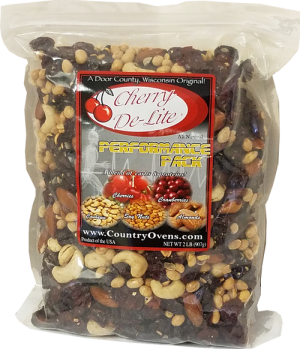 This protein-packed snack includes dried cherries, cranberries, soy nuts, cashews and almonds. This combination of ingredients makes it the ideal post-workout snack for college athletes. Being healthy never tasted so good!